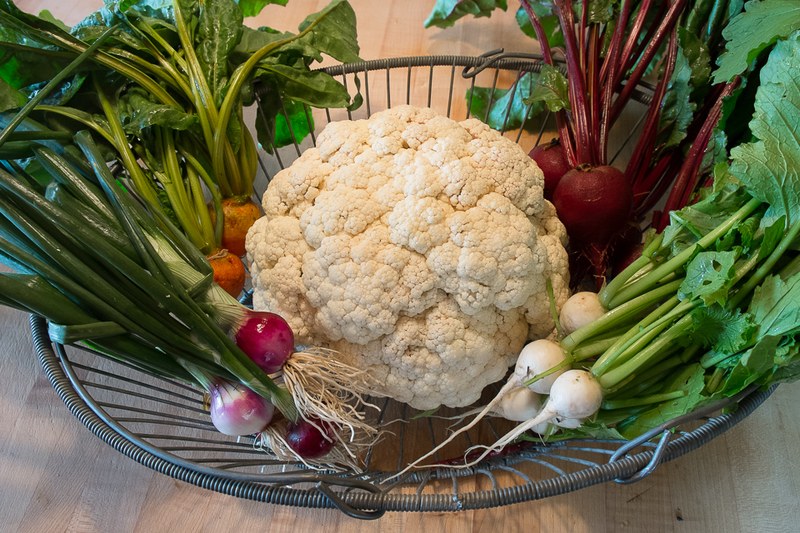 Here’s what I harvested from the kitchen garden on the first day of summer: Snow Crown cauliflower, Purplette onions, Kestrel and Touchstone Beets and Oasis turnips. The rounded cauliflower surrounded by the red, yellow, white and purple globes looked like a vegetable solar system. I couldn’t resist asking for a photo before cooking them all. 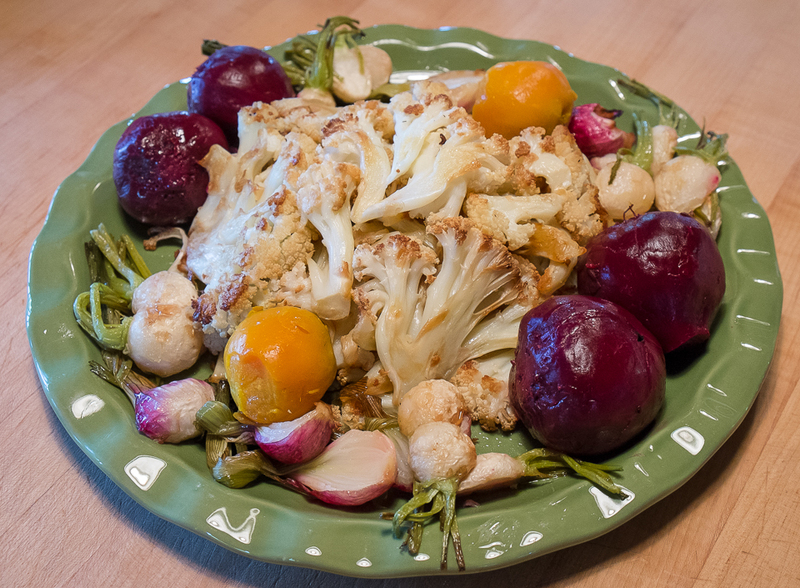 Then we celebrated the Solstice with a feast of roasted vegetables. Happy summer! And for anyone curious about when I planted each of these vegetables: I started the cauliflower indoors February 20th and set it out March 25th; onions indoors March 1st and set out April 18th; beets directed seeded April 22nd and turnips direct seeded May 22nd.